This year has gone so fast, I don’t really know where to start. I started the year by going to India for a month – see previous blog – to learn to teach yoga, give myself a break from climbing and to generally reset a bit. When I came back in February, I had always planned to hit the ground running, so to speak. I knew what my goals were and I had bags of renewed psyche and motivation. After doing Mecca Extension (8c) last autumn, I knew I was keen for more sport climbing and I knew I wanted to start on another project. I had already chosen Bat Route months before when I saw Adam Jeeworth sending the route the previous summer. There is something really special and inspiring about watching someone’s work manifest in that way. The climbing looked amazing to watch and it had a glowing reputation as a brilliant route…the seed was sewn immediately. 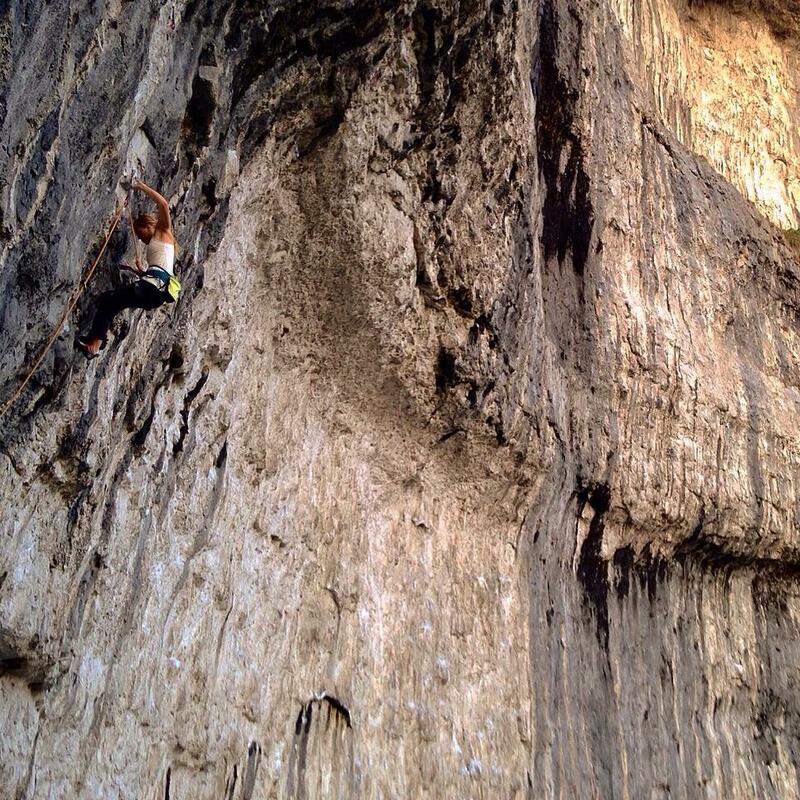 First though, there was some unfinished business….Austrian Oak (8b). I had tried the route in the summer and feeling full of positive vibes, I was hoping I could finish it off quickly and move on to the joys and excitement of working on Bat Route….ha! Get down, ego!! That was not to be. Austrian Oak was not going down lightly. 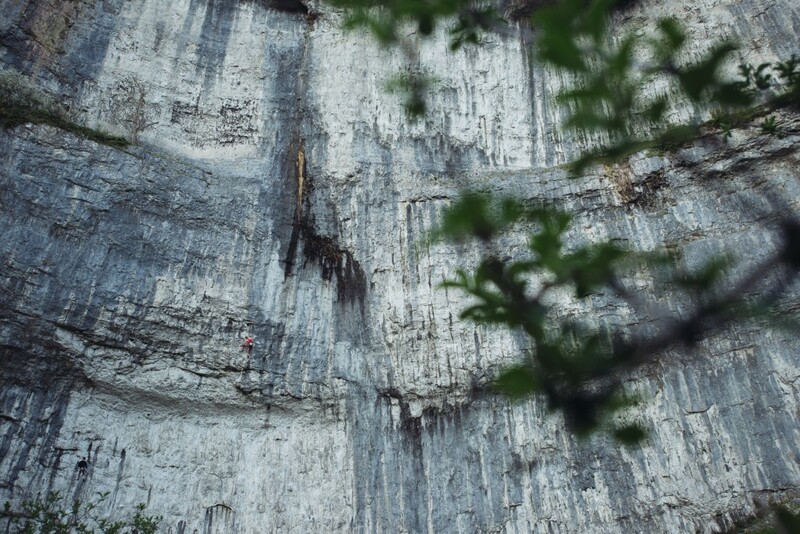 It was hard mentally because, although I loved trying Austrian and it is truly great climbing, my heart had shifted to a new goal and I was very distracted. It became somewhat of an epic, a few steps forward, and a few steps back…but eventually, after more sessions that I can remember, I managed to clip the chains. In some ways I had to refocus and let go of Bat Route to get the Oak done; I had to make sure I was giving the route the respect it deserved. Grades are so random and subjective; for me, Austrian Oak was bloody hard and tested me physically and mentally. I had to accept that and only then, when my ego fell away, was I able to finish the route. Moving on to Bat Route felt great, after a stressful redpoint battle, it felt so fun just working out moves and feeling it all gradually coming together. That’s definitely my favourite bit, the working out stage. No pressure, no expectations, just problem solving and moving about on rock. Bat Route starts up a route called Seventh Aardvark which is quite technical and comes in at 7b, then the tempo changes and you have a hard powerful boulder problem on undercuts through a roof (grade is often debated but it’s at least Font 7B+ (boulder grade), if not a bit harder, in my opinion) before a really good knee bar rest. Then the magnificent headwall gives you a mixture of bouldery moves and crimps to get stuck into and it’s a bit of a race against the pump as soon as you leave a rest. I worked the boulder in the roof to begin with as I knew this had the hardest single moves and would be the key to the route for me. Then I began doing links, in route climber style! I even did the boulder problem to the chains (so everything without Seventh Aardvark) before beginning to red point. Recovering in the knee bar after the crux, photo Jordan Manley. 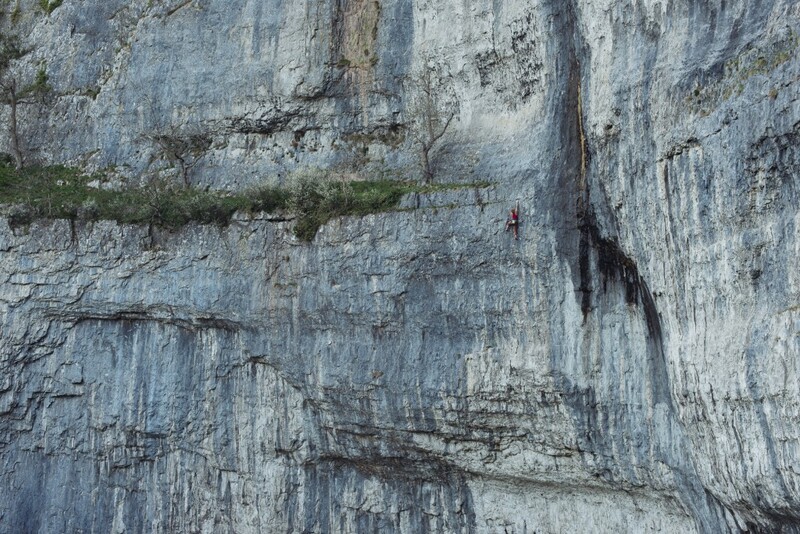 I eventually got through the crux from the ground and then things speeded up massively. The day I did it, I really wasn’t expecting it… I was pretty tired and it was my 4th go of the day, which isn’t usually my strong point. It was only on the last part of the headwall that it dawned on me that I might do it. After some power grunts and mousy squeaks, the main hard climbing was over but there is still a section above the last bolt – it isn’t hard compared to the rest of the route but it’s not 1a either. When I got to that section I looked up and there was a mini waterfall of run off coming down on me; my hands, my face, everything was getting wet! Looking up, the very first part of the last section was dry but there were a lot of wet holds higher up (not just the juggy ledge but some smaller holds before it were soaked too)! I genuinely thought I wasn’t going to be able to finish it, that I had essentially done it, but was probably going to leave empty handed. The very last section of Bat Route – this was all soaking wet the day I did it! – Photo Jordan Manley. Pure psyche for the send got me up the wet rock and I was in happy disbelief at the chains. I had thought I was far to tired to do the route that go and maybe that helped a bit; expectations and nerves fell away and I was able to just enjoy the fight. That was my biggest learning point actually – learning to enjoy the fight. The first time I got through the roof crux to the knee bar, I didn’t want to leave the rest! I was nervous about having got that far and then messing up the next bit, my expectations and nerves were making me not want to keep climbing. I shouted down to my friend who was belaying me to say I was nervous and he just yelled: “enjoy the fight!”. It really resonated with me that day and has stuck with me since. It is a basic way of looking at things and I often hear people say “enjoy the process” but for some reason that phrase always felt more annoying than anything….it’s hard to enjoy the process sometimes, but I do enjoy a good fight (in climbing…)! It made me realise that I wouldn’t want it to be easy or feel like a forgone conclusion; the enjoyment comes from engaging in a battle with yourself and the rock. Last but not least, one of the best things about this year’s Malham season has been the people…the shared psyche, the support and the friendship. Thanks everyone, you know who you are! What fabulous pics. 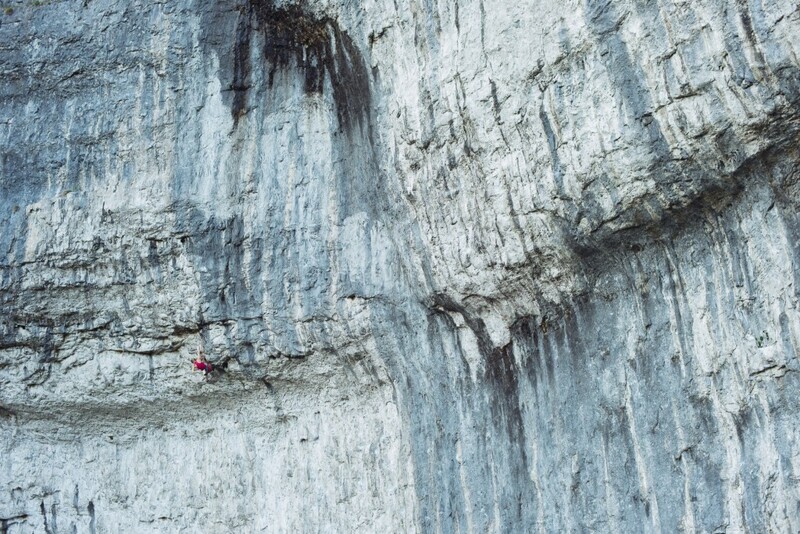 I’m not a climber (I have friends who are) and I’m amazed by what you achieve. I’m particularly interested, though, in how your mental strength complements your physical skills. I love your observation: “. . . only then, when my ego fell away, was I able to finish the route.” A lesson for life there, I think – and very yoga!